Few accolades exist that adequately describe the Aston Magna sounds on Saturday at St. James Place. 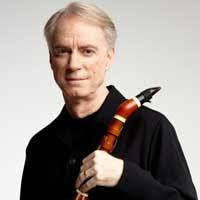 In a newly-restored venue fit for the finest chamber music acoustic, the Festival presented guest artist Eric Hoeprich in the familiar Mozart Clarinet Quintet. But there was nothing ordinary in his sound and his instrument - the basset clarinet (the 18th century ancestor of today’s more familiar reed) - nor in his mastery of this beloved work. Ably surrounded by a fine string cohort of Aston Magna regulars, his exceptional sound was soothing, assured, and masterful. The Larghetto movement was particularly rich. The basset clarinet used in the concert duplicates the instrument that Mozart would have heard, and was produced by Hoeprich’s own hands. Master composition meets master instrument maker and master performer, all in one afternoon. The concert began with the Mozart Divertimento, a six part “diversion” for violin, viola and cello. Meant as a departure from the cares of life, Mozart wrote several for various instrumental combinations. Daniel Stepner, David Miller and Loretta O’Sullivan spoke in the friendliest terms through their music as themes presented themselves, were developed and returned in the familiar fashion of early classical form. With Julie Leven, an additional violin voice, they played the Adagio and Fugue after Intermission. Their individual abilities to both come forward and then retreat allowed the audience to follow the fugue entries successfully; this work has a darker complexity that contrasted well with the Quintet that followed. St. James Place was a church where a wall fell down and its congregation dispersed. Through a long and loving restoration, it now takes on a new role as a first-class venue for performance, with comfortable pew seating and welcome air conditioning. Great Barrington can be proud of this accomplishment, and proud to have hosted 45 years of Aston Magna magic.